Kentucky State Senator Mike Wilson (R-Bowling Green) has renewed his efforts to have internet cafe-style gambling banned in the Commonwealth by pre-filing the framework for BR 229, a measure which will be considered during Kentucky’s 2015 state legislative session. In recent days, rough-draft versions of Wilson’s latest proposal have surfaced, allowing a glimpse at the bill. It’s touted as an attempt to ban so-called “internet cafe” gambling, but certain inclusions in the bill may open the door toward more broadly reaching bans against all forms of online gambling. Wilson has been a longtime supporter of Kentucky’s anti-online gambling efforts, which first made international headlines back in 2008 when the state unsuccessfully attempted to seize 141 offshore internet domains connected to gambling. Wilson pre-filed his BR 299 bill in mid-November, with news of the filing becoming public earlier this month via state media outlet WKBO. 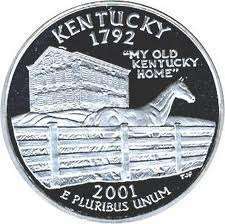 Kentucky’s previous antagonistic history toward online gambling will likely play into the bill’s chances for success. As Wilson acknowledged to WKBO, online gambling in the state remains a legal grey area, despite unsuccesfully trying to seize the online domains. Kentucky later attached itself to the federal “Black Friday” case, but dropped its case (for some amount of cash from the PokerStars settlement). Kentucky’s continuing involvement in the Black Friday case amounted to a nuisance lawsuit, since DOJ attorneys filed their own, well-documented motion that the earlier Kentucky seizure attempts were unconstitutional. Nonetheless, the state has remained anti online gambling in general, in large supported by Kentucky’s prominent horseracing industry. That includes the notable exception of Kentucky Derby owner Churchill Downs, Inc., which has made initial investments toward a place in the future online-gambling world. Whichever side wins the state-level battle in Kentucky remains unknown. However, here’s a look at a few key inclusions in the latest draft version of BR 229. Onlookers might recognize the general similarity in the above to the Florida online-gambling ban that was enacted for the same reasons, ostensibly, the ban of internet cafes. Indeed, as Wilson told WBKO, such internet cafes have, in his opinion, damaged the state’s established charitable-gaming operations. “Profiting from gambling activity” — A person “profits from gambling activity” when, other than as a player, he accepts or receives or agrees to accept or receive money or other property pursuant to an agreement or understanding with any person whereby he participates or is to participate in the proceeds of gambling activity. No dates have yet been set for initial consideration of Wilson’s bill.